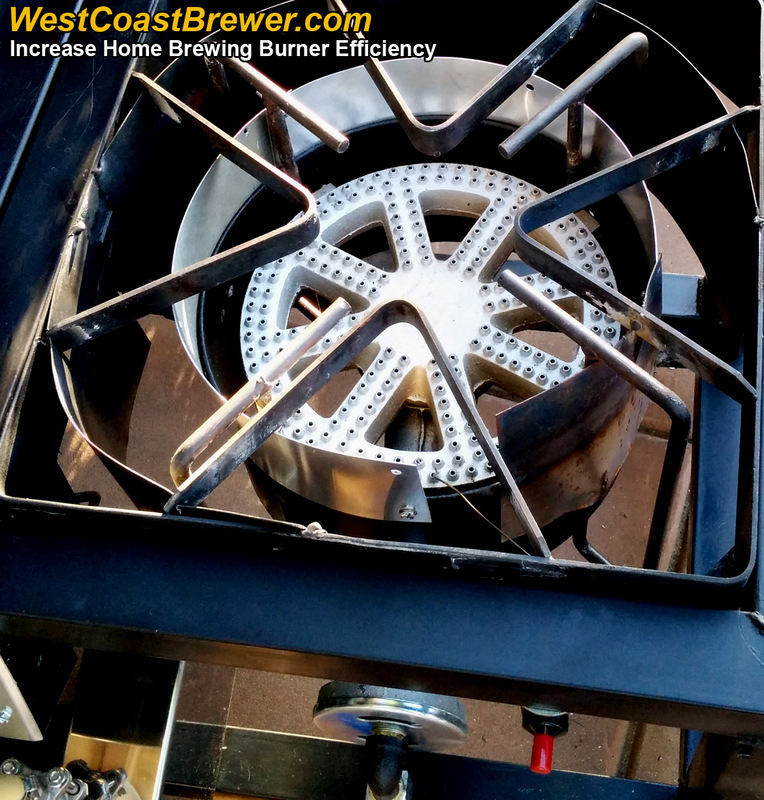 Boosting your home beer brewing burners efficiency! About a year ago I upgraded from my previous low output propane burners to these larger 210,000 BTU Banjo Burners. These new burners were literally about 4 times larger, heavier and produced about 4 times the BTU’s as my previous propane home brewing burners and I had high expectations of them. When it finally came time to test them out on a batch of beer I was left somewhat disappointed. Did they heat my kettles more quickly? Yes they did. Were they terribly inefficient and double by propane expenses? Yes, they did that too. I was please with how much time they were saving, but was very let down by how much propane I was blowing through. In the past I was able to get about 4, 10 gallon batches from each propane tank. With these new banjo burners I was getting less than 2. Based on what I could tell from observation, much of the heat was being reflected off of the bottom of the kettles and pushed out of the sides burner housing. My plan was to create 2 metal baffles to help better direct the heat where I wanted it to go. 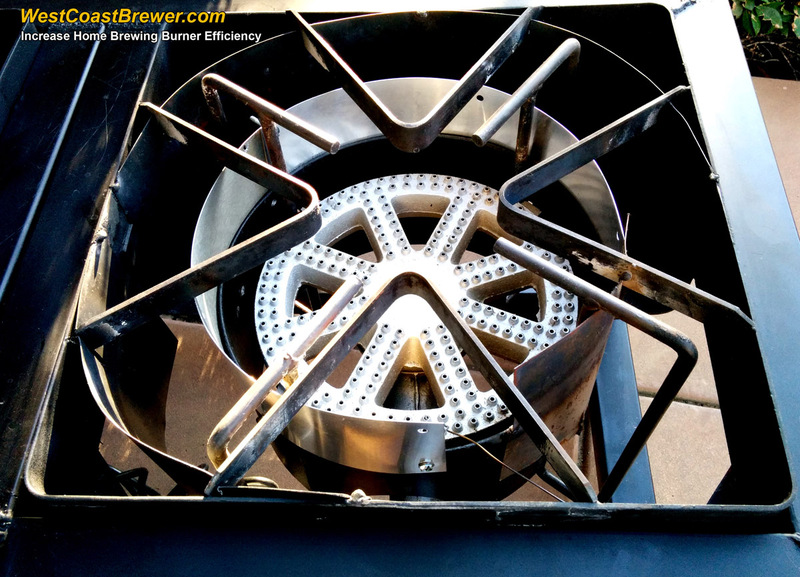 I bolted the first baffle around the internal burner housing about 1 1/2 inches bellow where the kettle sits. I welded the second baffle near the outside of the burner housing, just slightly larger then the approximate diameter of my kettles. The top of the second baffle was approximately 1/2 inch beneath the kettle. I left a small area of space for me to pass through my igniter. After testing these baffles I was very pleased with the efficiency gains to my home brewing banjo burners. I was back to getting about 3 1/2, 10 gallon batches per propane tank and was heating my kettles about twice as fast as I was with my previous burners. If anyone else has been experiencing similar issues with their propane burner efficiency, hopefully this will help you out. hi, this is Aunne, What size are your Kettles? How long did burner take to come to a boil? Hello Aunne, they are 20 gallon kettles. I wish I had recorded boil times before the upgrade but I had not. All I can say is that I was acheiviving a boil noticably faster.